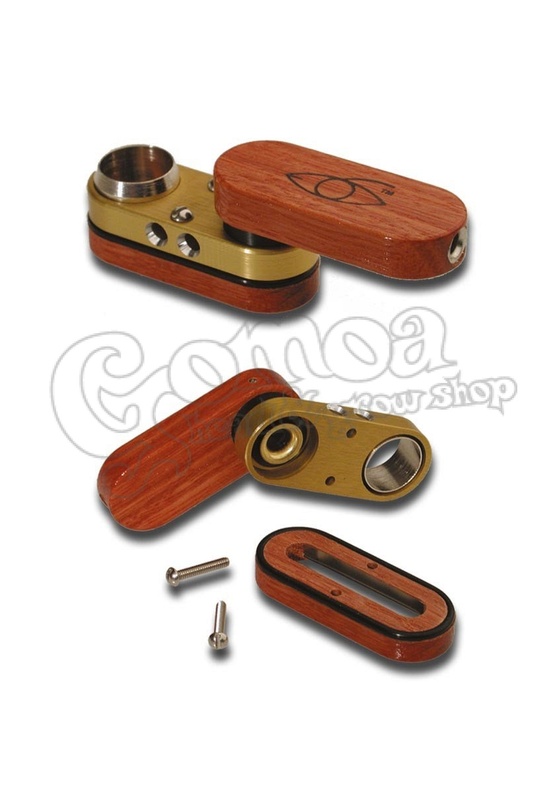 Wooden pipe, with metal base. Foldable, so that it is very small, and dismountable, so that it can be cleaned easlily. The pipe screen is not included. Its size is approximately 6 cm.